I love tomatoes. They are probably my favorite fruit/vegetables. I just learned that I have an acidic stomach and tomatoes are on the no-no list. It breaks my heart. 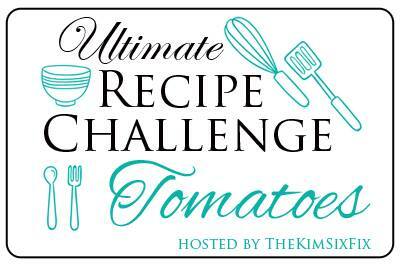 This month's Ultimate Recipe Challenge hosted by Kim Six Fix, was a bit bittersweet, knowing that I couldn't try any of the recipes, but I still wanted to be a part. You will see my Crockpot Spaghetti Sauce recipe on the links below, along with lots of other mouthwatering recipes. Just when I was becoming really depressed about the whole thing, I discovered tomato powder. 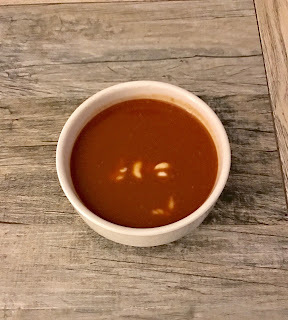 Tomato powder is dehydrated tomatoes that are pulverized into powder and then used in making wonderful things like this Copycat Campbell's Tomato Soup. You can reconstitute the tomatoes to make tomato paste and tomato sauce. There are instructions on nearly every package of tomato powder on the market. I found this tomato soup recipe and modified it to make it gluten, dairy and sugar free. I hope you give it a try. Add water to a large pot and eat over high heat until almost boiling. Add tomato powder and whisk thoroughly. Turn heat down, Add stevia and salt, mix well. Add milk and heat to desired temperature. Add more stevia to taste, if needed. Garnish with coconut milk yogurt. For someone who gets to eat Campbell's tomato soup a lot, this might seem a far cry from that beloved soup, but for those of us who cannot have tomatoes, this is a godsend! Tomato powder has a long shelf life and can be used to make sauces, Bloody Marys and other tomato based goodies. 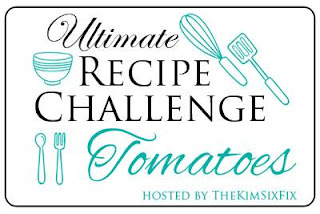 Join my friends as they share all of their wonderful tomato recipes! I'm always up for a good bowl of tomato soup with a grilled cheese sandwich. I've never tried making my own before. I have reactive arthritis (tendinitis) and one of the things that can cause a flare is anything that is tomato based. You might check with your doc about tomato powder. My doc said this was a good product as it removes the acidity. If you have no sugar restrictions, use brown sugar. Start with 1 tablespoon and sweeten from there. Delish. What a cool challenge! I always wonder how so many bloggers seem to have endless recipe inspiration. I think this is such a great thing to take part in in coming up with your own recipe! I will be trying some of these out! What an interesting idea! I love tomato bisque and I bet this soup would taste creamy with the almond milk! I wonder if this recipe would work without the stevia or any sweetener at all? I am not a fan of stevia myself. The tomato powder is a bit bitter. You might be able to use real cream and that might take the edge off. The best result is brown sugar. For this recipe it would take 1 T to balance the bitterness. I love tomato soup and carrot soup also. I love all these different recipes with tomato! I made a carrot and tomato soup you'd love! I have the recipe on the blog. This looks so delicious. I love soup on cold days. With all the upcoming snow, this would be perfect. This sounds like a good recipe. Love that Soups are so convenient to make. I had no idea there was such a thing as tomato powder! I feel like I've been living under a rock! I'll have to give this a try! That looks so good! There's nothing better than homemade soup especially if it's cold outside! This recipe is a keeper! Campbell's Tomato Soup is such a classic and has such a distinct taste. What a great recipe idea, thank you! I love copycat recipes! My son really likes tomato soup. It's the only soup he'll eat. I'll have to give this recipe a try! Oh my! That looks amazing! My kids love soup so I am always looking for new recipes to try. I have to give this one a try. 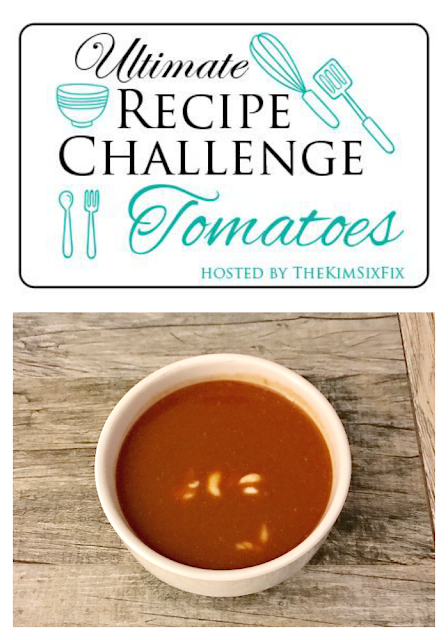 We love tomato soup in our home so this is a great post! Thanks for all the great recipes. This is one of my favorite meals to make! Especially in the winter! I will have to try this out! This looks great! And the recipe seems easy enough. Good luck in the challenge! Wow this recipe sounds incredible! Ne and my hubby loves soup especially for colder weather. I will definitely try this out! I enjoy eating tomato soup with mini meatballs but I never made it myself. Your recipe sounds delicious especially with the almond milk as one of the ingredients. tomato soap and grilled cheese sandwiches were one of my favs as a child and even as an adult. good to see a homemade version of the soup! WOW this looks GREAT!!!!! Thank you for sharing!!! And thank you SO much for visiting my little blog!!!! I love tomato soup and you version is so much healthier than Campbell's! My family would love this on a cold fall evening. Thanks for the soup recipe. I think many of us will still need it as March is extremely cold and NYC is even getting snow right now.